When marketers and SEOs decide to target a highly competitive keyword, it could take months or even years to see meaningful movement in the SERPs. But the search landscape is shifting, and more searchers are typing in long tail search terms to find what they're looking for in search engines. Not surprisingly, marketers and SEOs are responding by shifting their attention to long tail search optimization. If you haven't started integrating long tail keywords into your keyword research strategy or you're not sure it's the right move for your site, here's the what, why, and how of long tail search. Better quality traffic and higher conversion rates. Long tail keywords are more specific, which means visitors that land on your website from a long tail search term are more qualified. Content targeting unicorn costumes for kids, for example, will receive more relevant traffic than content targeting unicorn costumes. And since the content on that page is more relevant to the searcher, a greater percentage of that traffic is likely to purchase the costume for their kid. Because long tail keywords are less competitive. Everyone looking for unicorn costumes for kids is looking for unicorn costumes; not everyong looking for unicorn costumes is looking for unicorn costume for kids. In other words, the more niche you get, the less competitive it is. Long tail keywords help you stay agile. If you slip in the SERPs for a head term (if you're one of the few ranking for it) it is a dramatic blow to your business with a rough road to recovery. If you diversify with long tail search terms, losing rankings on a few phrases won't disrupt your business, and you can regain those listing positions quickly. 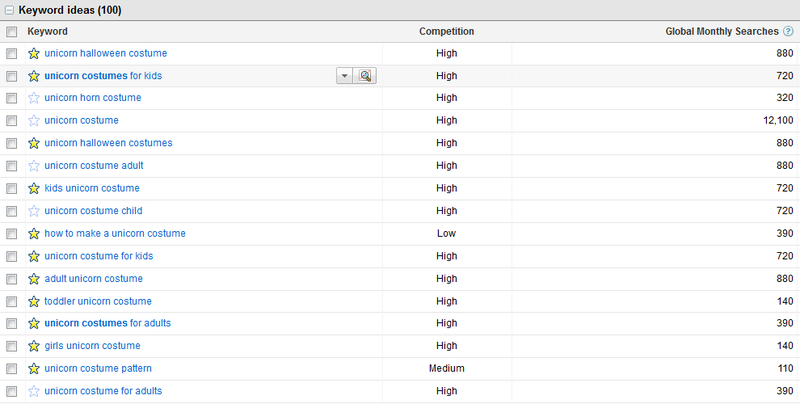 Long tail search helps you rank for difficult terms. By including the head terms in your long tail keyword phrases, you're also gaining traction on that difficult search term. You can also boost pages targeting competitive terms by linking to them from your high ranking pages targeting long tail variations of that head term. Long tail search is the most popular type of search. 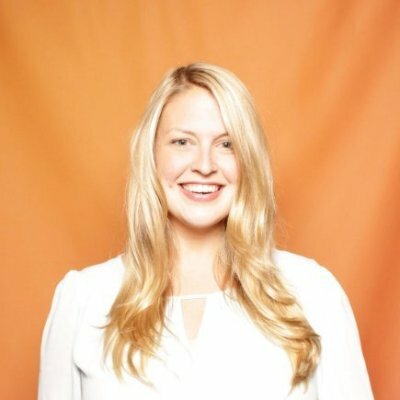 According to SEOmoz, long tail search comprises 70% of search traffic. As searchers become more confident in how Google returns results for their query, they're free to be more specific with search queries instead of defaulting to a generic term and sifting through results to find what they're looking for. You may have advanced keyword analytics tools at your disposal, such as HubSpot's Keyword Grader tool, that allow you to get more granular with your long tail search efforts. You can also get started by logging in to your Google Analytics account and identifying the terms that drive the most traffic to your site. If you have insight into which keywords lead to customers, focus on those first for higher monetization potential. Next, search for long tail variations of those terms using the 'Suggest Keywords' option in HubSpot's Keyword Grader tool or by using Google's Keyword Tool. For example, the starred terms below are long tail variations of the term unicorn costume that would be good to target. If you're having trouble finding good long tail keyword phrases in your keyword tool, jump over to Google.com, enter your head terms into the search box, and let Google Suggest recommend some long tail variations for you. Identify terms that would be good to create content around. For example, there is ample opportunity around the term how to make a unicorn costume. It has a global monthly search volume of 390, low competition, and the how-to phrase lends itself to informational, actionable content that is great for a blog. You should include this phrase in your URL, page title, H1 tags, and throughout your content, too. 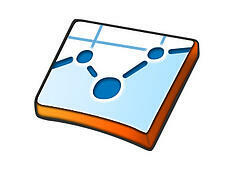 To convert those visitors, provide additional contextual content, videos, pictures, or offers. By moving these visitors through the funnel, you'll see more conversions from this super qualified traffic and be able to monetize your long tail search efforts more effectively. Measure the amount of traffic you currently drive for long tail keywords. By establishing this from the beginning, you'll be able to measure if you're gaining traction for those keyword phrases month over month. Analyze how useful the long tail traffic is. If you end up in the top of the SERPs for a long tail keyword phrase but drive no traffic for it, it's not a good place to spend your time. If you get traffic but low conversions, start testing your calls-to-action and landing pages. If, after A/B testing CTAs and landing pages, you're still seeing no improvements, focus your efforts on more profitable keywords. Determine which keywords yield the most revenue. A customer was once a prospect, a prospect was once a lead, and a lead was once (maybe) a long tail searcher. Start tracking which long tail keywords drive the most future customers. Over time, you can even attribute customer acquisition costs and lifetime customer value metrics to this equation. 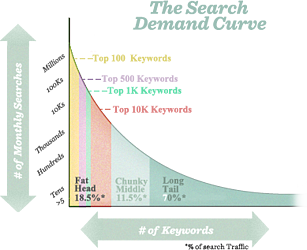 Evaluate the success of content optimized with long tail keywords. Metrics to consider are bounce rate, time on page, social reach, and inbound links. If visitors leave a blog post about how to make a unicorn costume in 4 seconds, for example, one can infer that blog post is not useful for people searching that term. Piggyback on success by targeting similar terms. When you've identified long tail keyword phrases that drive traffic, conversions, and other positive site metrics, experiment with synonyms of those words. For example, if there's success with the term unicorn costumes for kids, there is probably also opportunity with the term unicorn costumes for children. Identify holes and opportunities in your content. If you see people coming to your site from relevant search terms you hadn't considered, there's an opportunity to optimize your site for that group of searchers. For example, a costume retailer could capitalize on the search term Halloween safety tips for children even though the term doesn't explicitly mention unicorn costumes (or any costumes, for that matter), while still remaining relevant to readers. 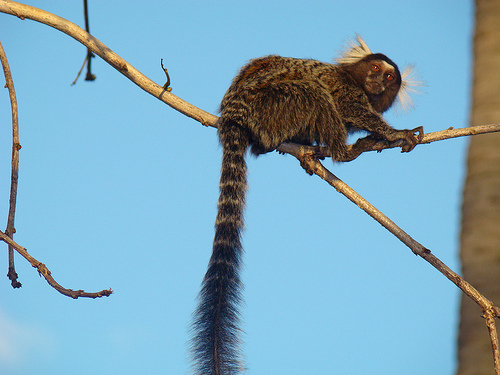 Are you leveraging the SEO power of long-tail keywords in your marketing content?